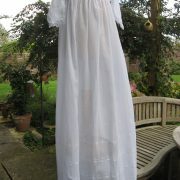 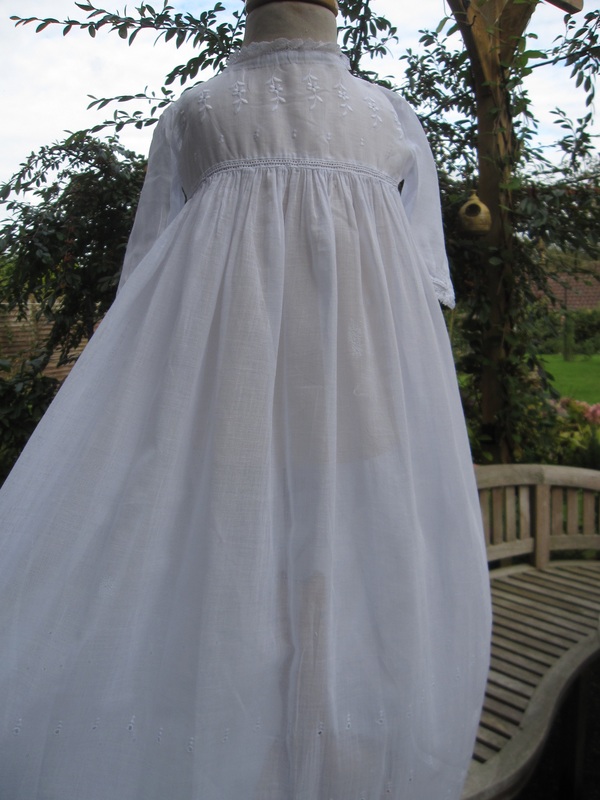 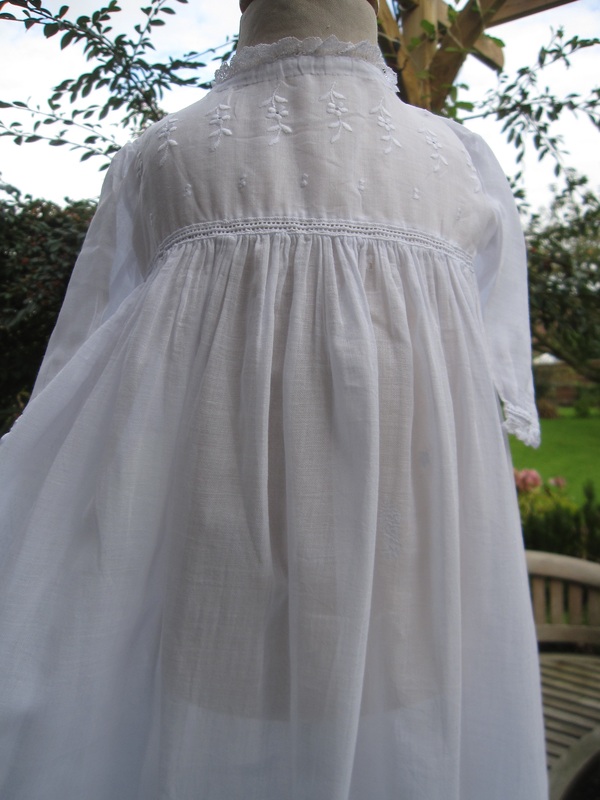 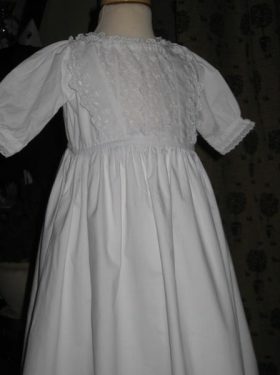 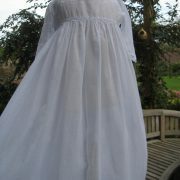 This is a pretty post Edwardian christening gown in good condition. 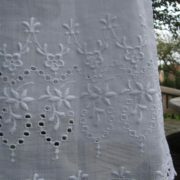 The yoke is detailed with dainty embroidered flowers and joins the fullsome skirt with a band of exquisite embroided lace. 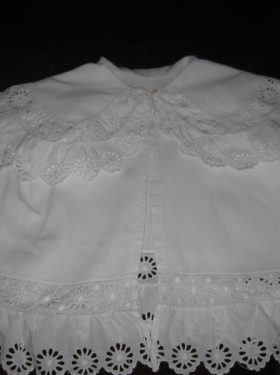 The neck and long sleeves are trimmed with the fine lace. 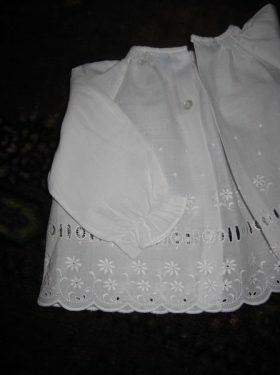 The skirt is long and full in style. 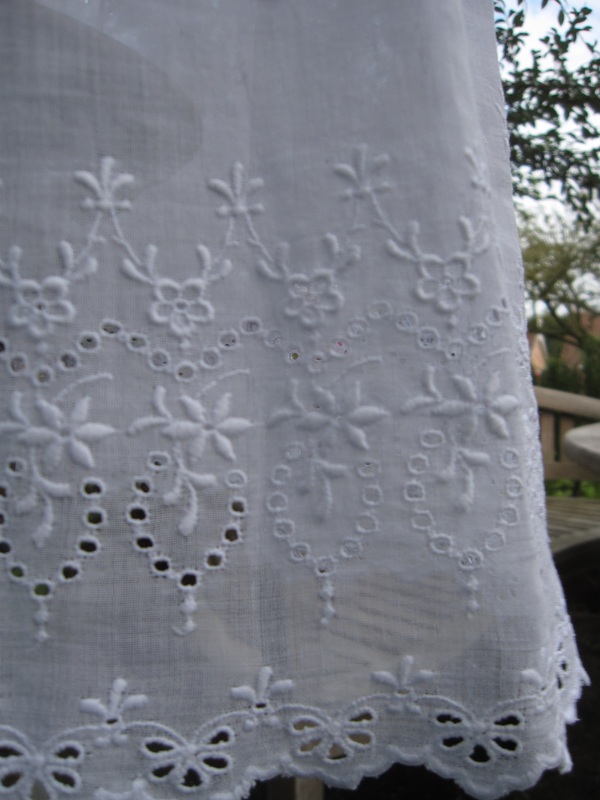 Machine embroidered flowers graduate to the hemline which has a lovely scalloped edge. 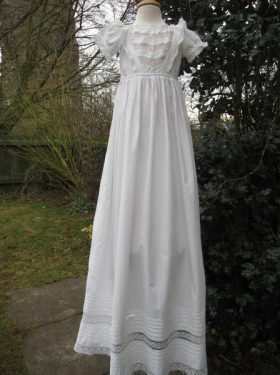 The gown has been created from the finest cotton lawn and it may be advisable to put an Edwardian style petticoat underneath for extra warmth. 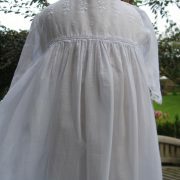 These are also available from Little Doves. 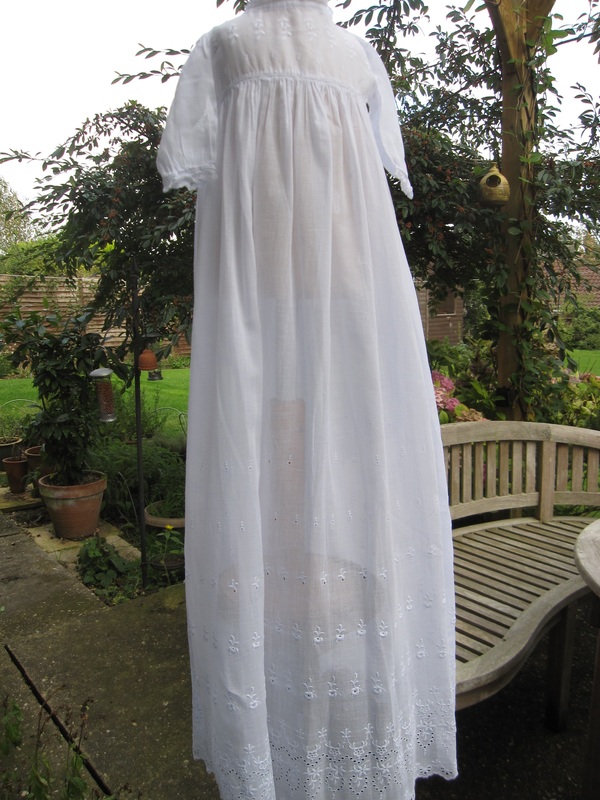 This gown will fit a 17 inch chest.